By the conclusion of summer Treasure Island and Caesars will be established online in Nevada. April was the first time that real money online poker had been licensed and regulated in a jurisdiction of USA and it happened in Nevada. Ultimate Poker is a part of Station Casinos and now other firms are expected to join. 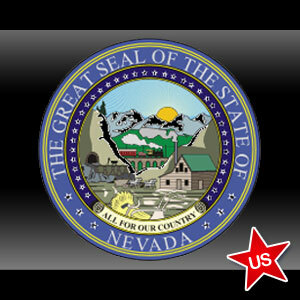 In 2011 Nevada made online poker legal and rules were adapted by December. Even though Nevada is considered to be the leader with regards to casinos, it was the first time that the state would be up against running games on the Internet and all that is involved with the process. Even though there were other Internet gambling licensees that had a head start, it was Ultimate Poker that saw success and became Nevada’s earliest licensee. Caesars Ent. Corp. stated that it is close to releasing its online product. The company has made statements about planning to launch a WSOP platform. It also has a deal with 888, a well-respected name in the online poker industry, for the backend technology. Treasure Island Casino also plans on offering players real money online games in the near future, plans are to have everything up and running by the end of summer. This casino also has plans to partner up with 888. There are other Nevada casinos that are also moving forward with thoughts and plans on entering the online casino and poker industry. Many opportunities have opened up and the way has been carved for them to go online and offer even more players the ability to enjoy gambling at their establishments. The only difference will be that players can now play without physical limitations and this means even more revenue for the casinos. Another familiar name which has expressed some interest in the online poker opportunities is Wynn Resorts. However, the company has remained hush when it comes to speaking up on any up and coming plans that may or may not be in the works. The company doesn’t appear to have a partner as of yet, but there has been some speculation that one possibility would be Zynga. The Golden Nugget already has a poker product which allows players to enjoy free play. However, it hasn’t yet made any moves toward switching over to real money games. The company spokesperson stated that there currently isn’t a date set for a launch of any real money games.